This entry was posted in Finished project, Sewing, Uncategorized and tagged A-line skirt, button front placket, giveaway winner, pattern drafting, sewing, skirt. I love your skirt. I had a similar designs, but it was Ready to Wear. I love to draft straight and A-line skirts. It seems to take almost as long to make as cutting out and adjusting a purchased skirt. Thank you! It was definitely a fast make because I already had the basic pattern that fits well. 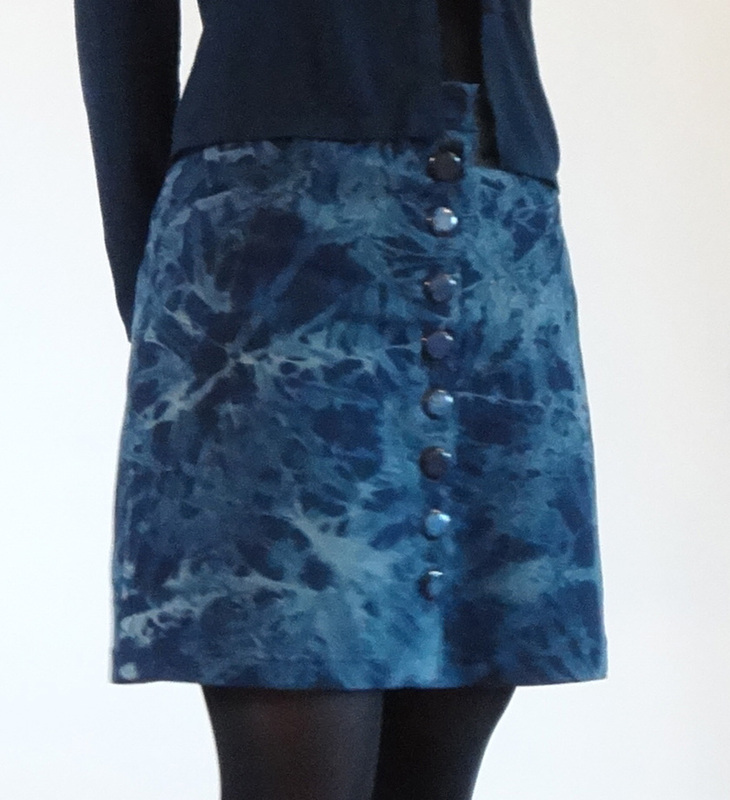 Great skirt and the colourful finish on the inside waistband is so fun! Thanks for linking the lined vent sew along too. Thank you! I think I’ll include the lined vent on my next skirt (am waiting until all the post are up because I want to know all the steps before I start sewing) and I thought this was a nice way to direct other skirt sewing people to the sew along. I love the pattern and I love the fabric. You made it such a good fit! Thank you! It was really nice not having to fit this skirt anymore because I had already taken the time to do so for my previous one. Thank you! 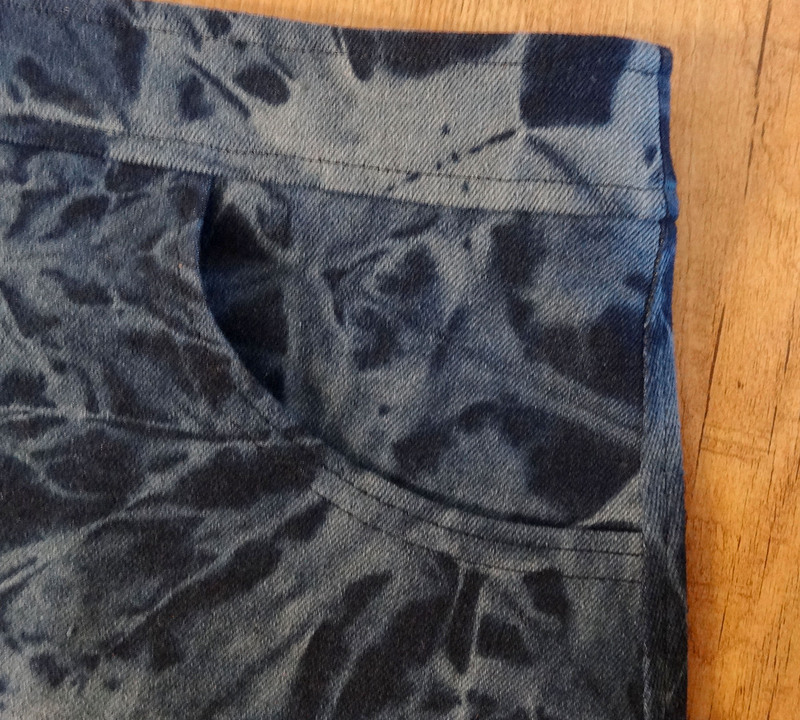 This is definitely the waistband finish I am going to do from now on in unlined skirts. Would May and Patrick also like it if it wasn’t included in the instructions? No, they probably won’t! No added pockets tho so surely a bit of bias may be ok??? Who knows? At least my stitching was pretty straight and close to the edge! Me happy!! I never win anything, this is a very good first! I love the fabric of the skirt to. And you’re definitely not the only one wanting to look inside other people’s garments. Sometimes my hands itch to undress people, but somehow that seems a bit indecent most of the time. I was a bit flustered about who Patrick and May are. But then it hit me! How could I forget? Especially since I so much agree with with Lynda’s hand-sign for him. For those still flustered; keep the telly tuned on BBC Two at Tuesdays 20:00 GMT. You’ll love it! I sometimes catch myself staring at interesting seamlines on other people’s clothes and always hope they didn’t notice. I think a lot of people turn on the BBC on Tuesdays these weeks, so much fun. Thank you, I still love wearing it! The biastape really does create less bulk so I can really recommend it.